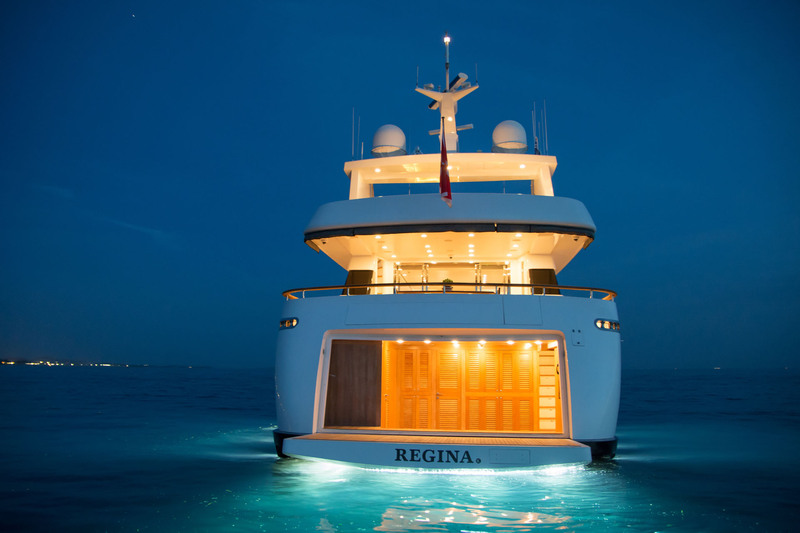 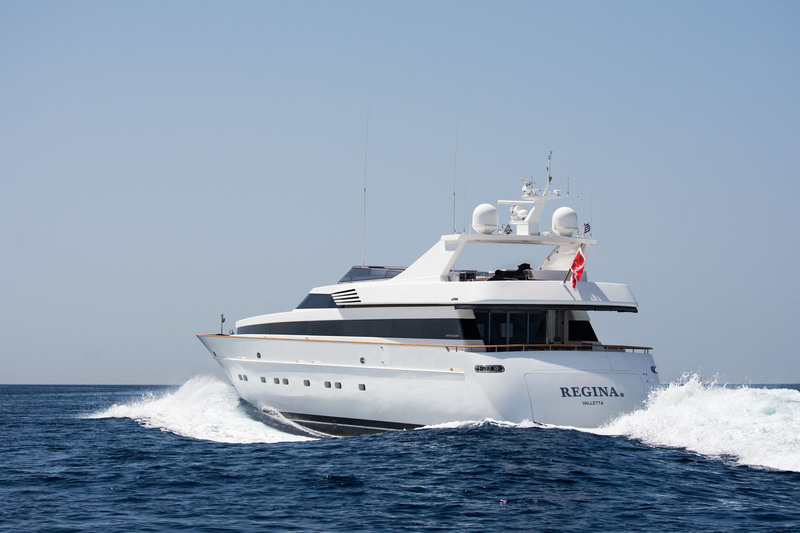 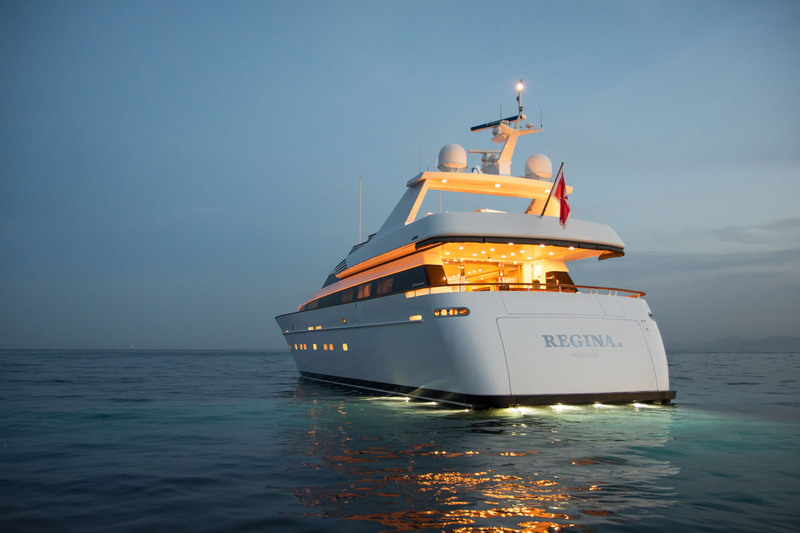 Stylish 32m/105ft superyacht REGINA K was built by Cantieri di Pisa in 2008 and last refitted in 2018. 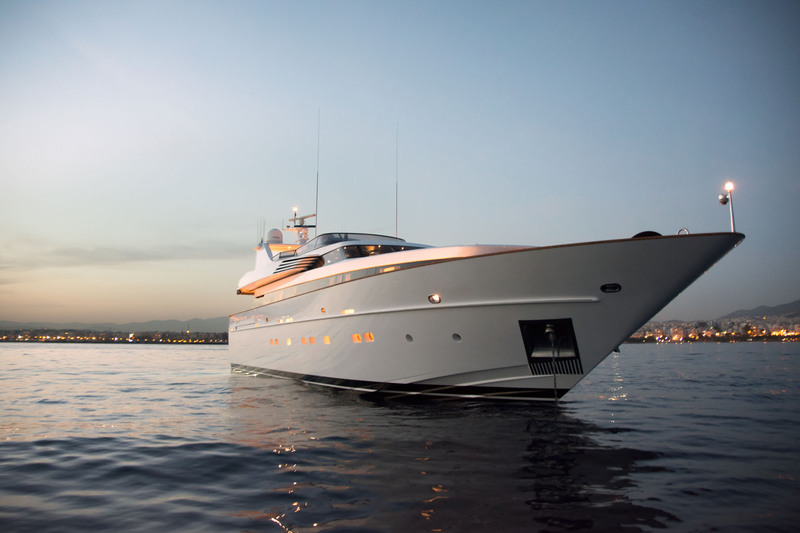 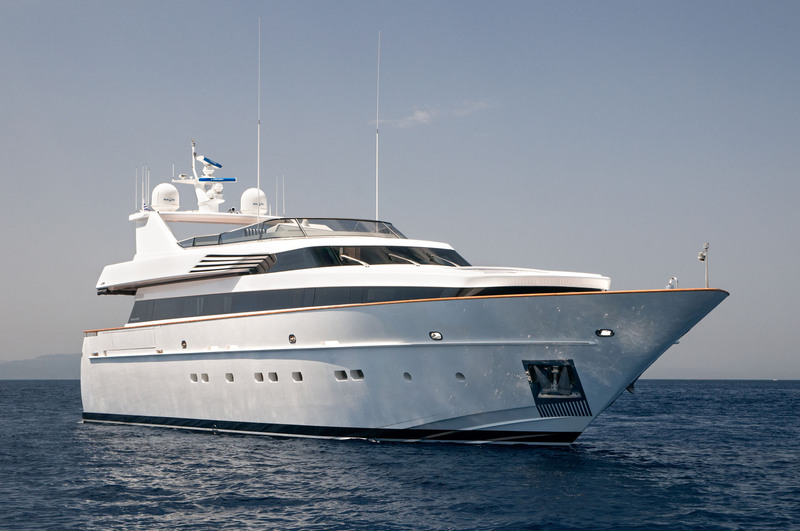 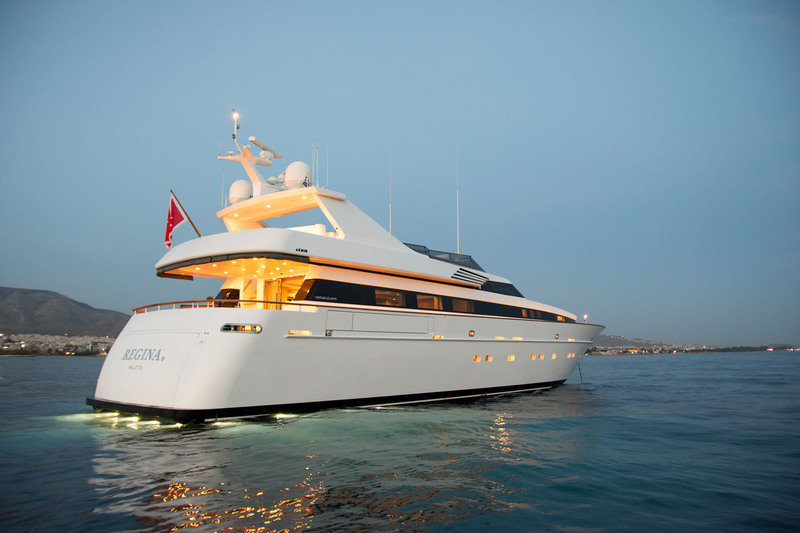 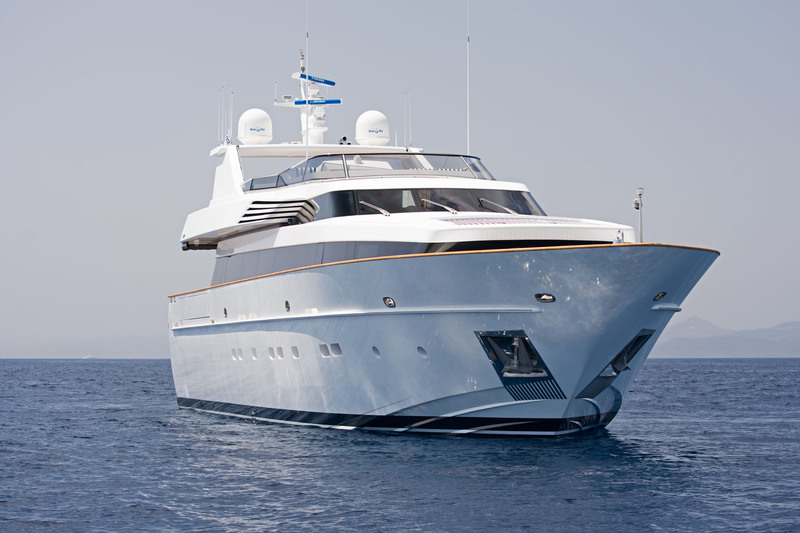 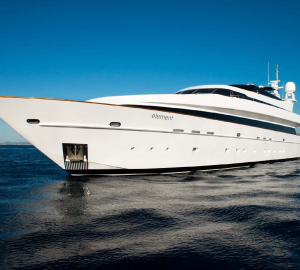 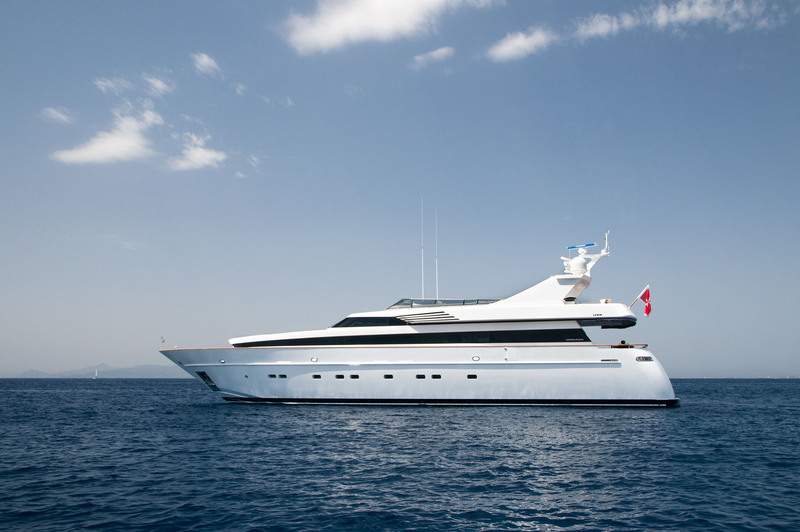 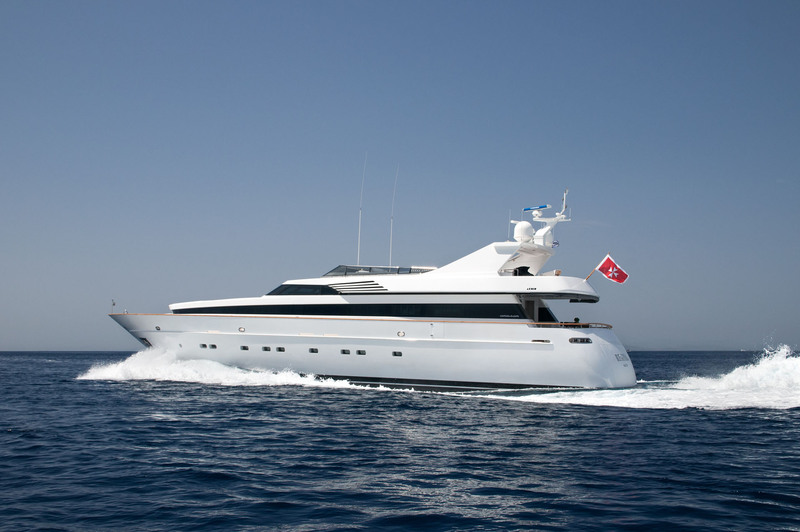 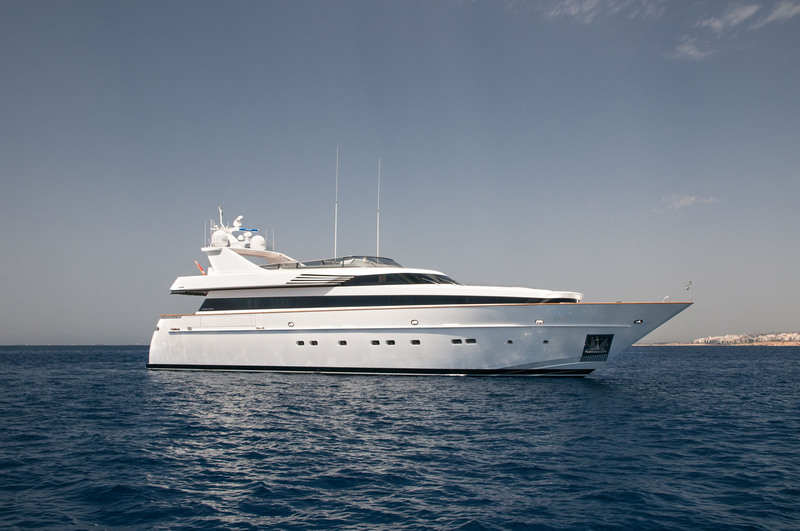 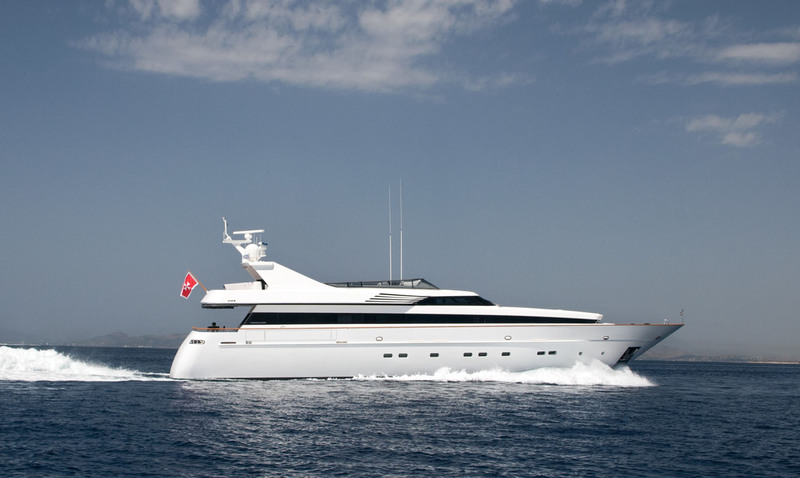 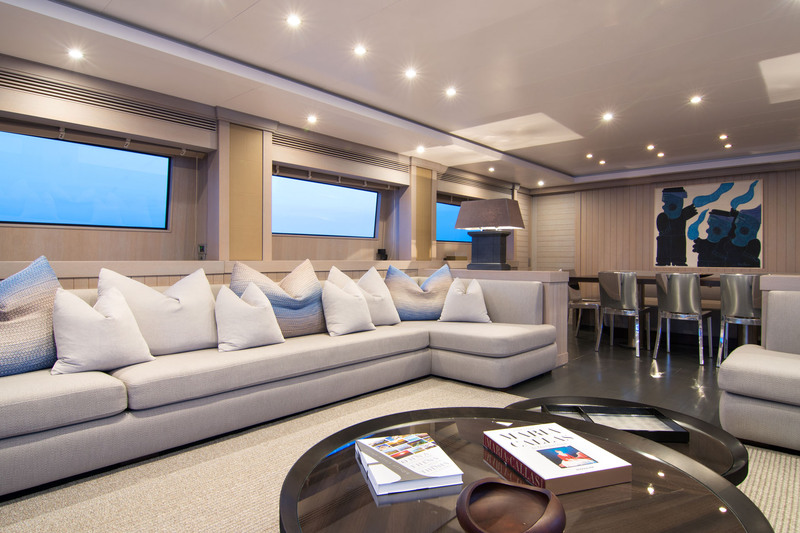 Constructed with a GRP hull and superstructure, her naval architecture was also completed by the shipyard while renowned Italian stylist Francesco Paszkowski created her stunning light interiors, accommodating up to ten charter guests in five cabins. 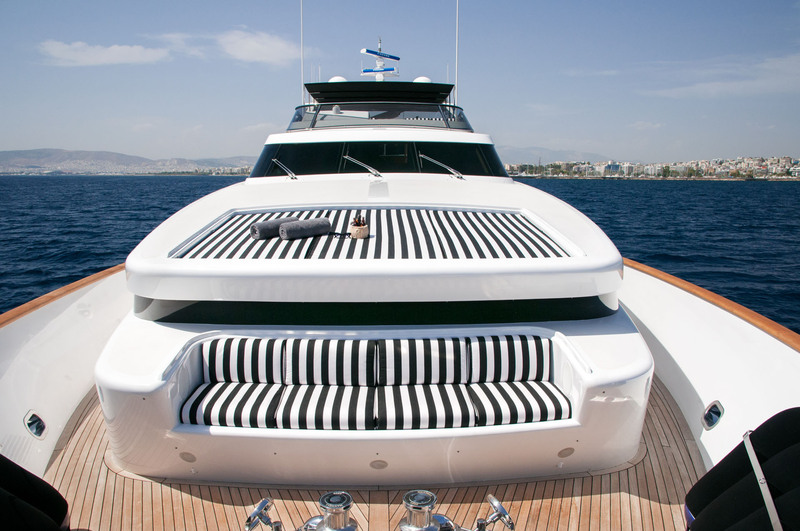 She has a crew of five on board. 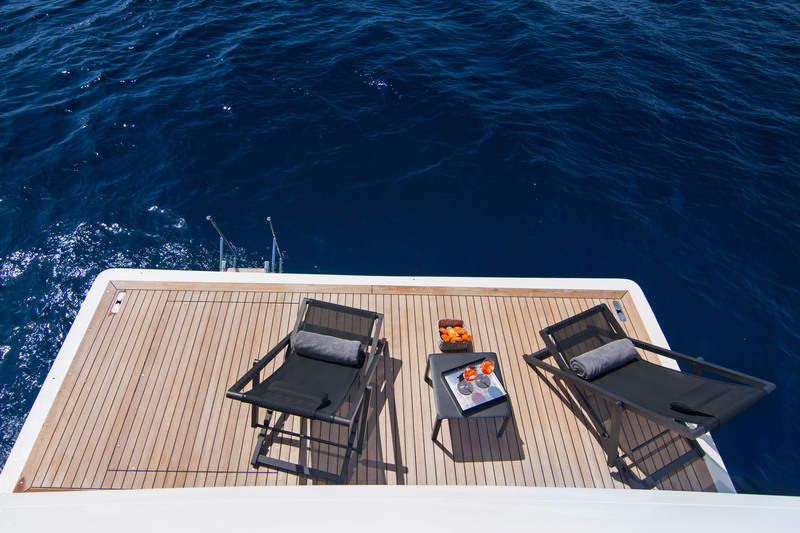 The lower deck has a deep swim platform that connects through to the beach club, through which guests can access the main deck aft. 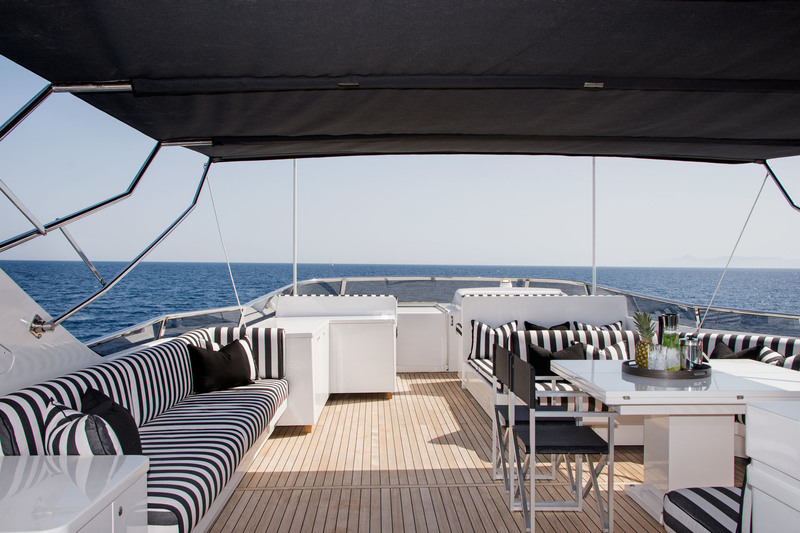 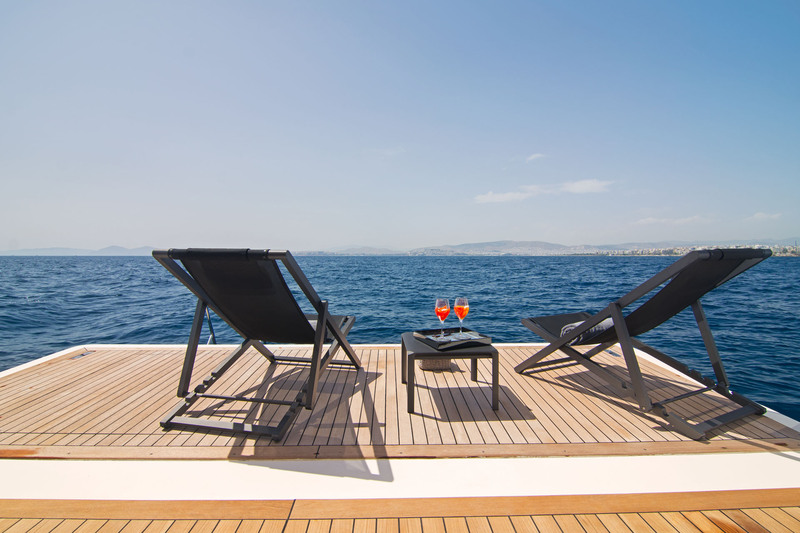 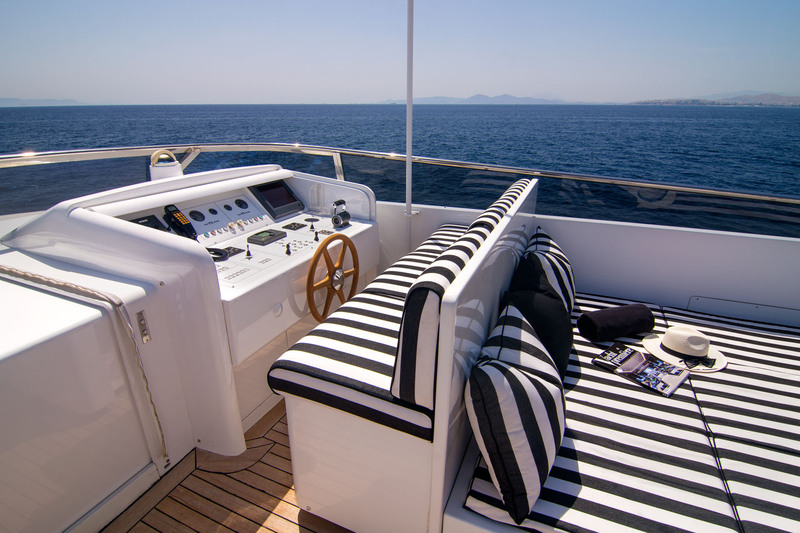 A stern sofa provides a casual outdoor space for guests to unwind in the shade, while on the foredeck a row of sunpads creates a comfortable sunbathing area where guests can take in uninterrupted views. 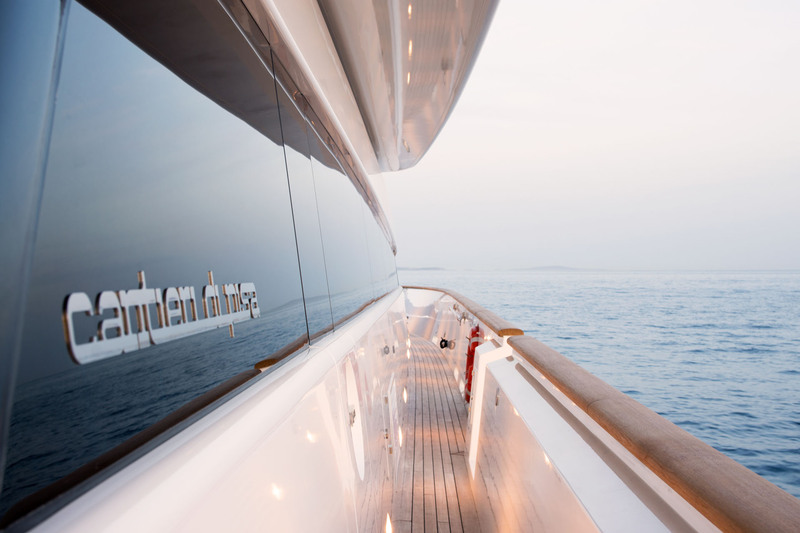 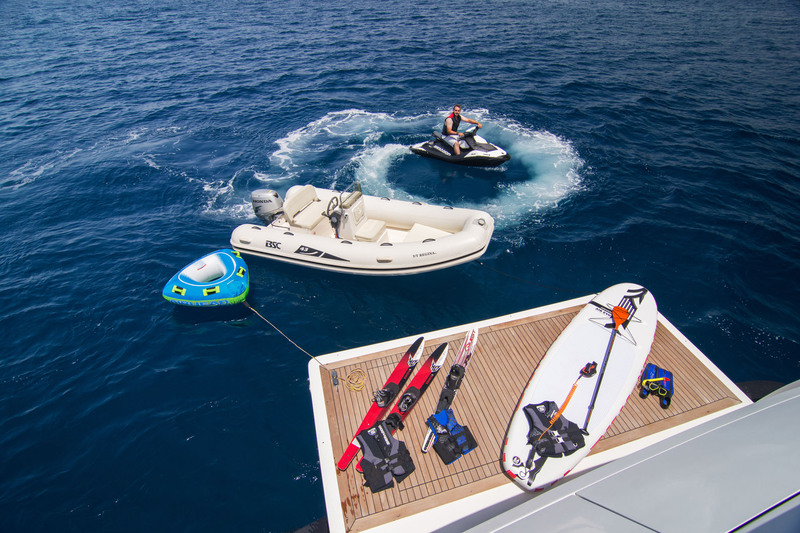 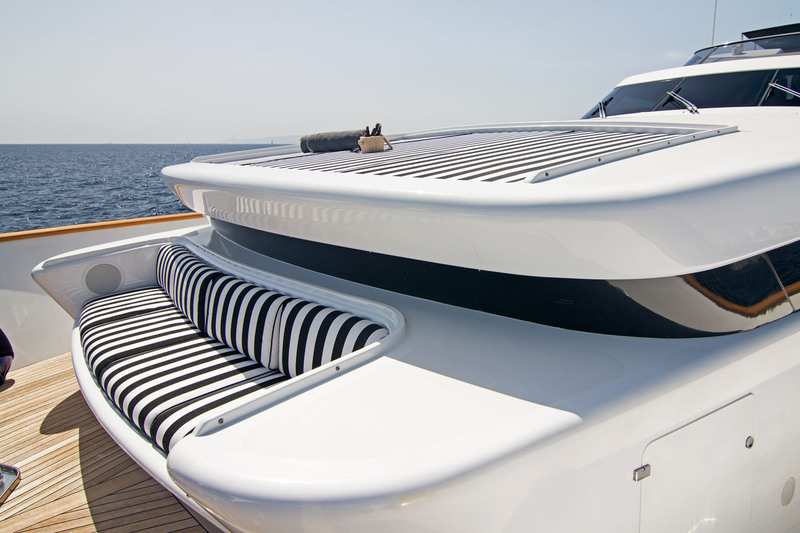 The flybridge aft is used for storing the tender, which is launched and retrieved using a Davit crane. 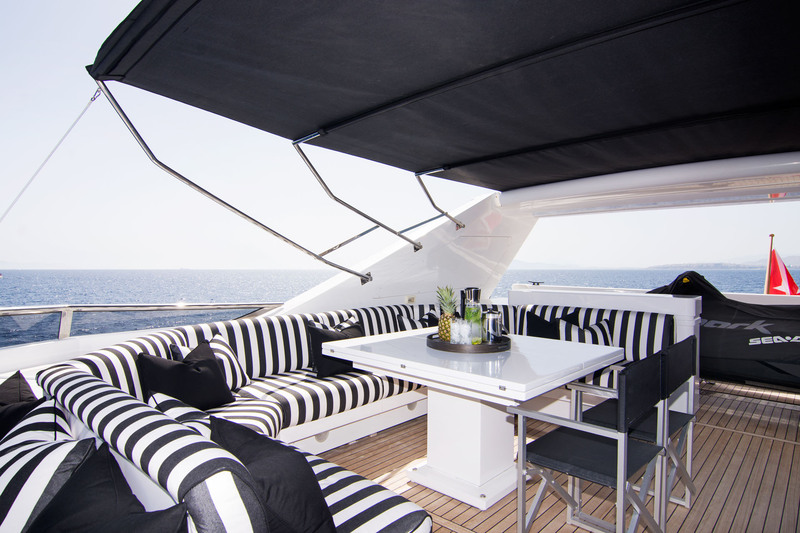 Amidships an awning can be set up to protect the lounge and casual C-shaped dining area from intense sunshine. 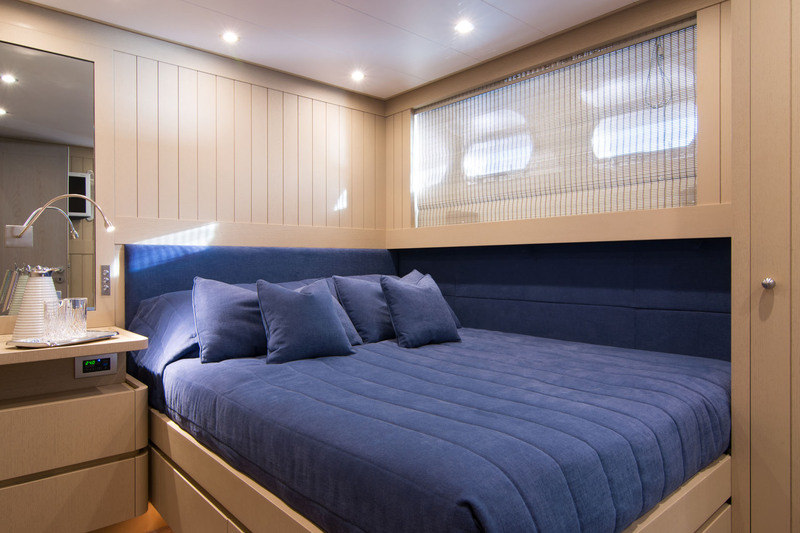 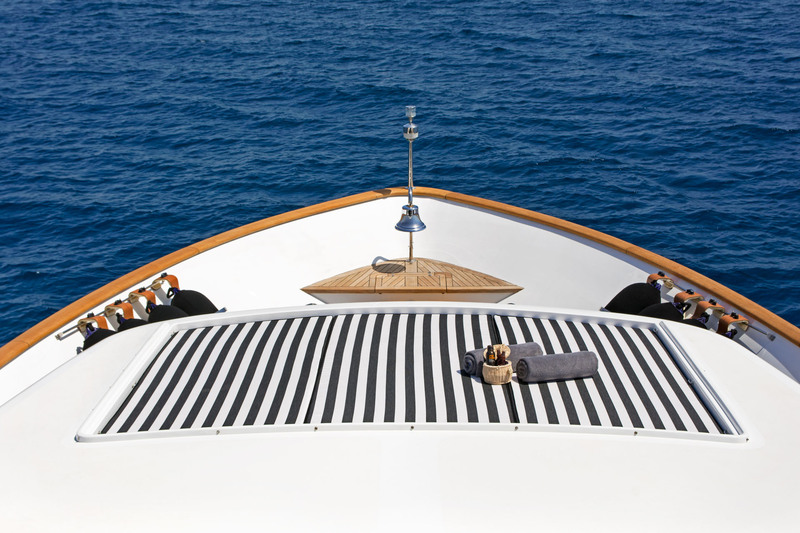 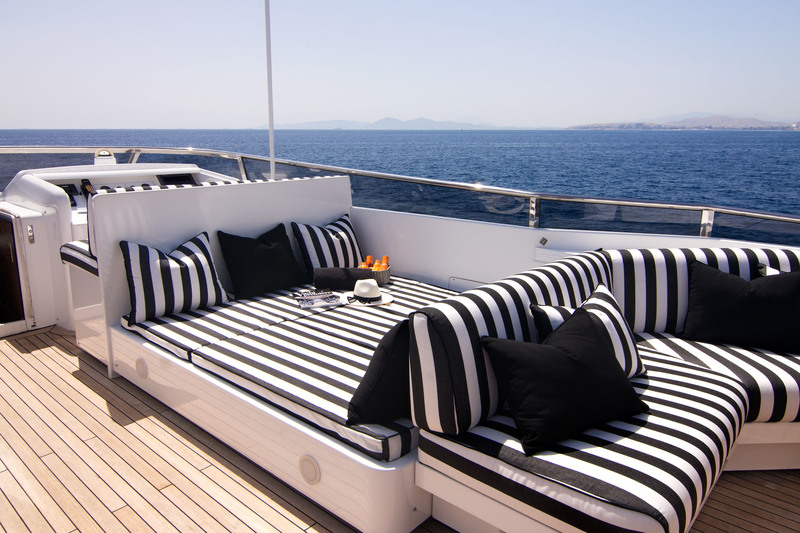 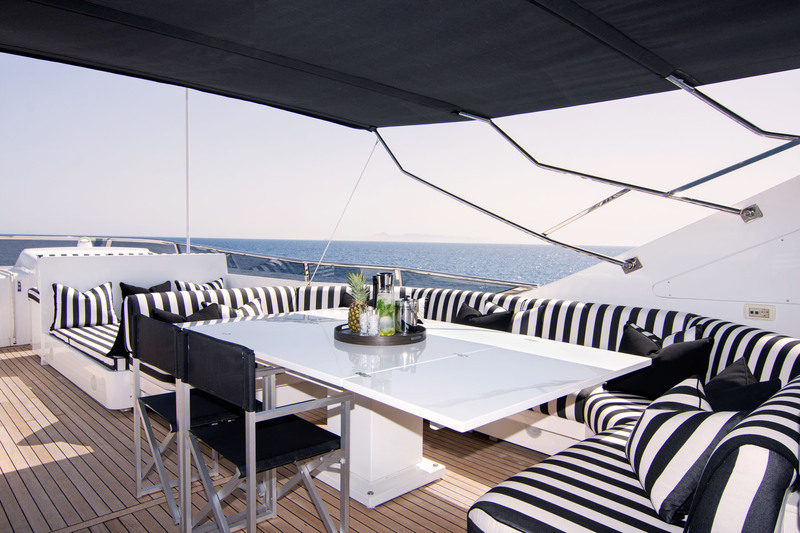 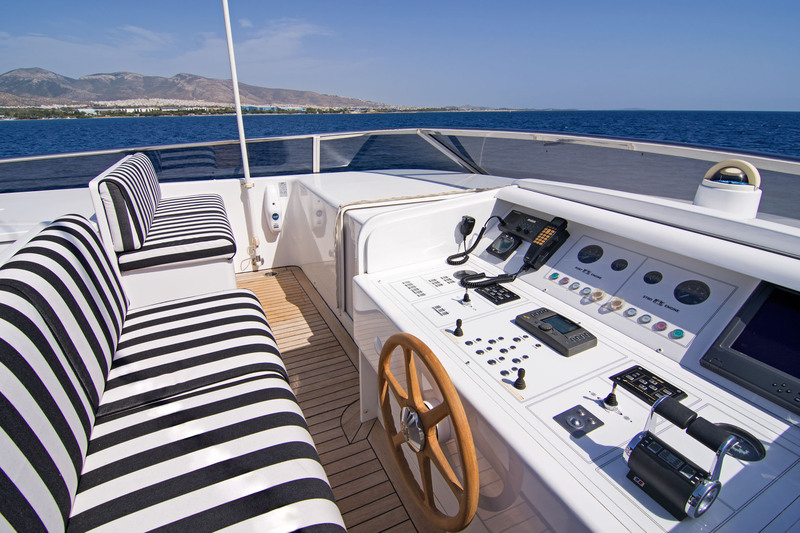 The foredeck is covered in sunpads where guests can nap after a hearty meal. 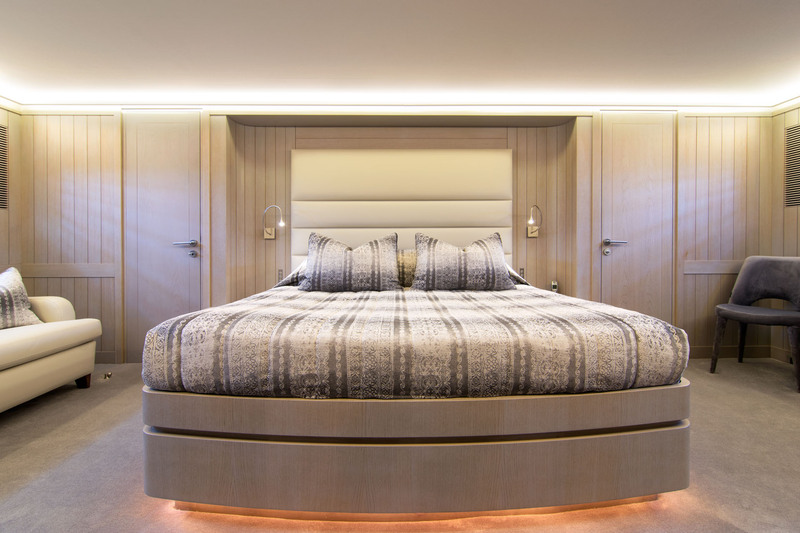 The interiors from internationally recognised Francesco Paszkowski use a pale colour scheme with light natural wood panelling and floors. 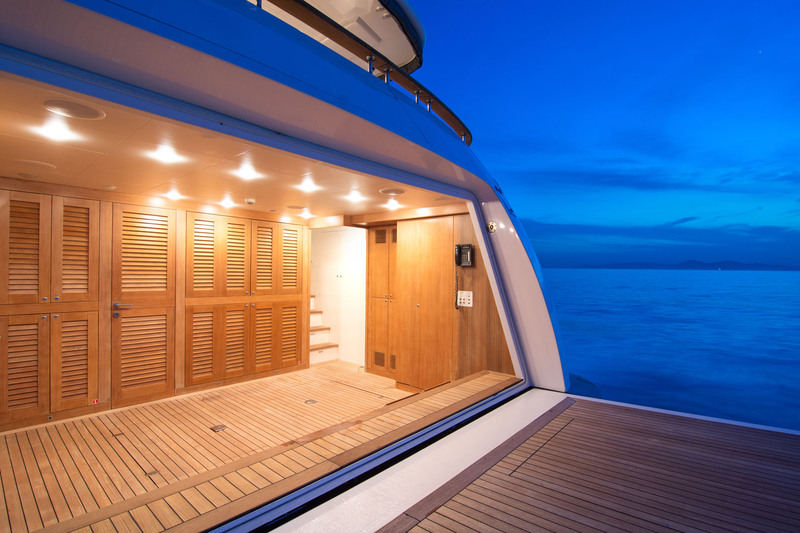 On the lower deck, a beach club is placed within the stern and the transom door opens up to increase guest space beside the water. 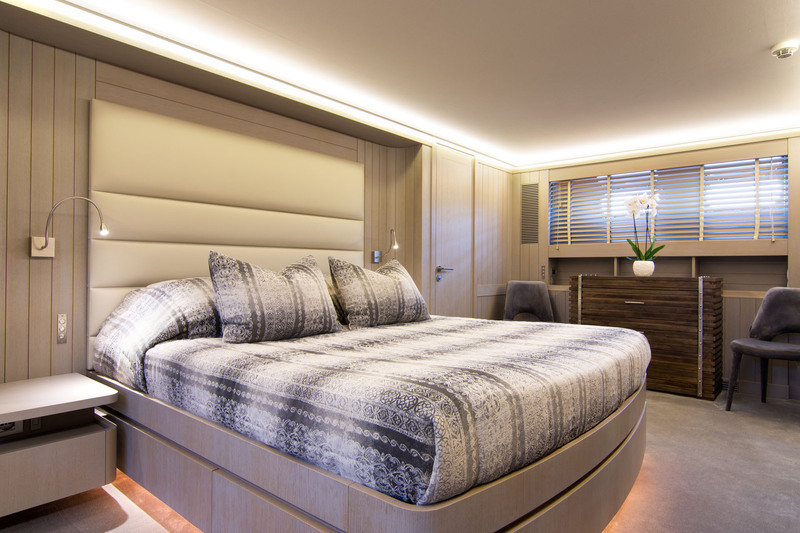 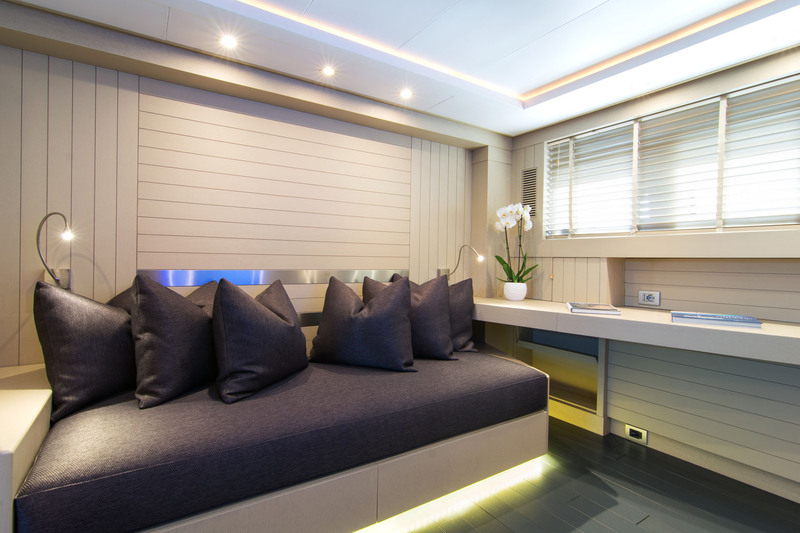 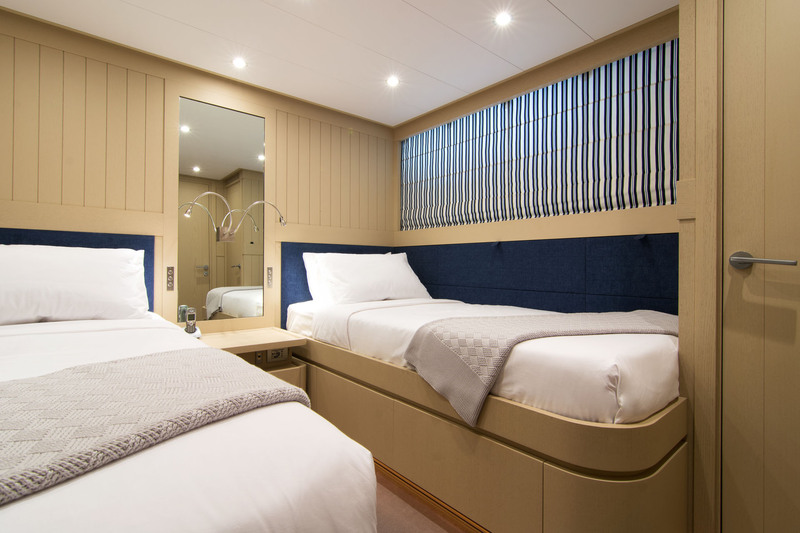 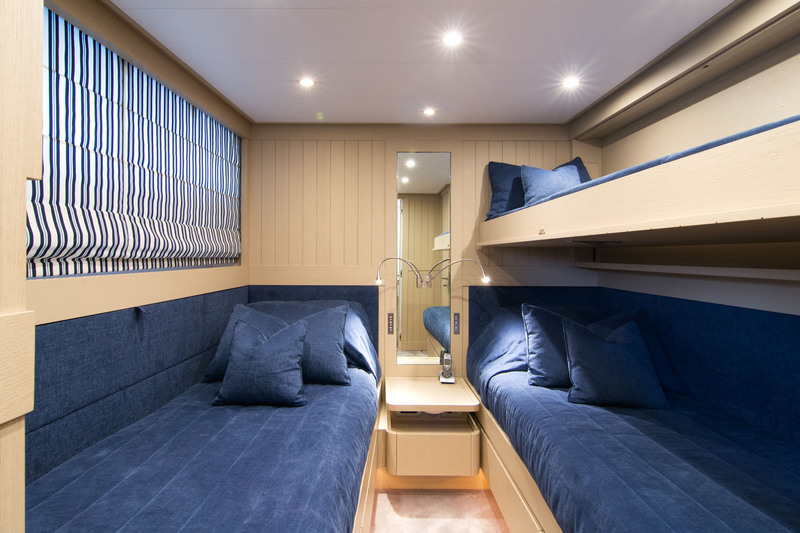 Forward of the engine room is the spacious Master suite complete with a lounge section, walk-in wardrobe and en-suite bathroom with tub, plus one double cabin and two twin cabins. 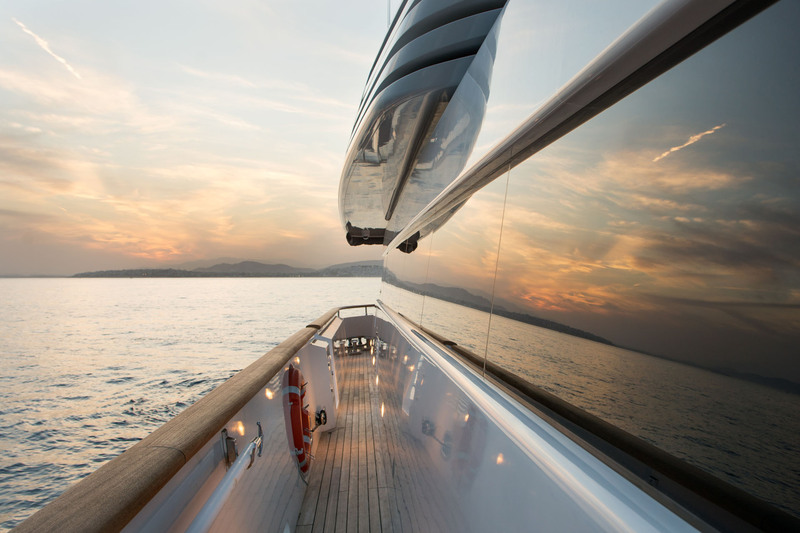 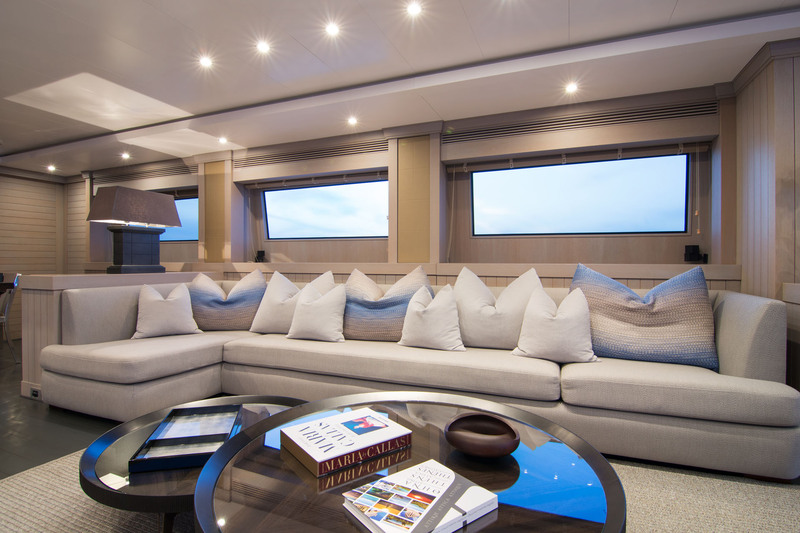 The main deck places a large double cabin forward that benefits from en-suite facilities and a desk for private study. 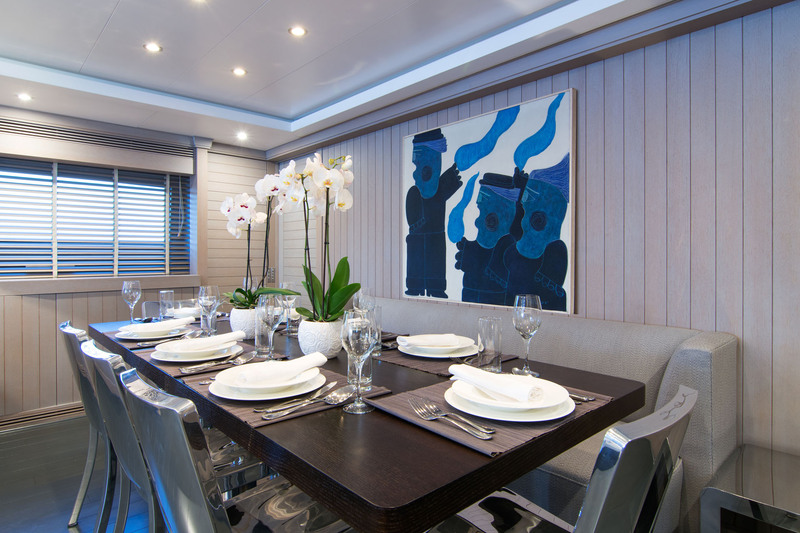 To the aft, the formal dining area and salon combine to form one large interior, and the former seats eight guests in brightly lit surroundings. 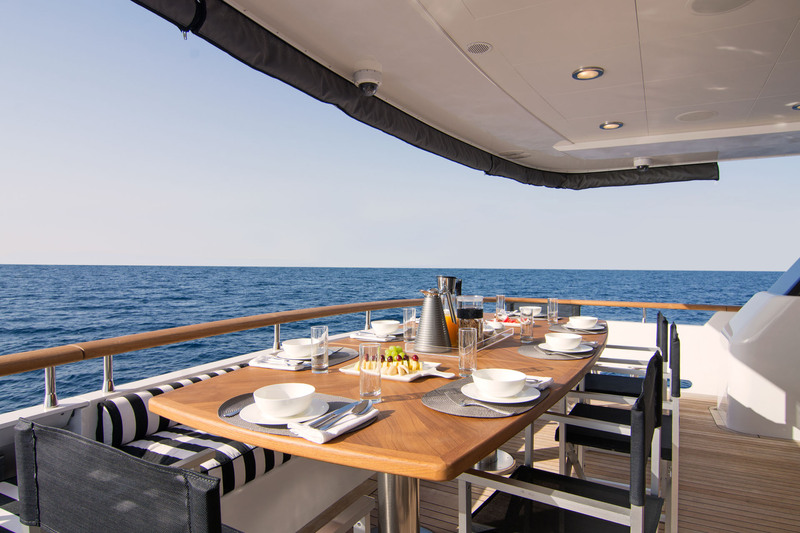 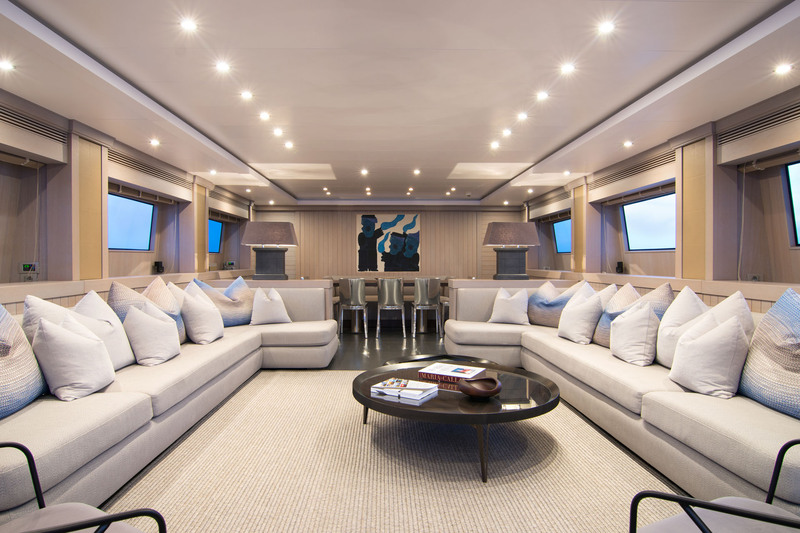 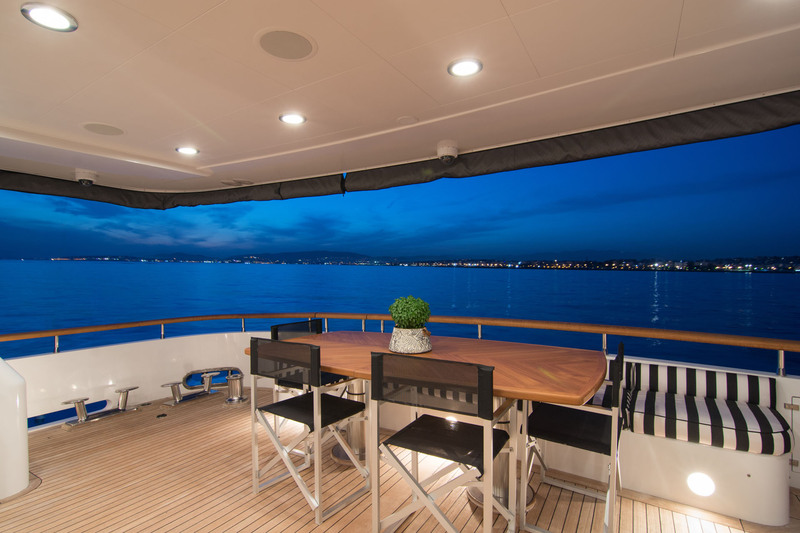 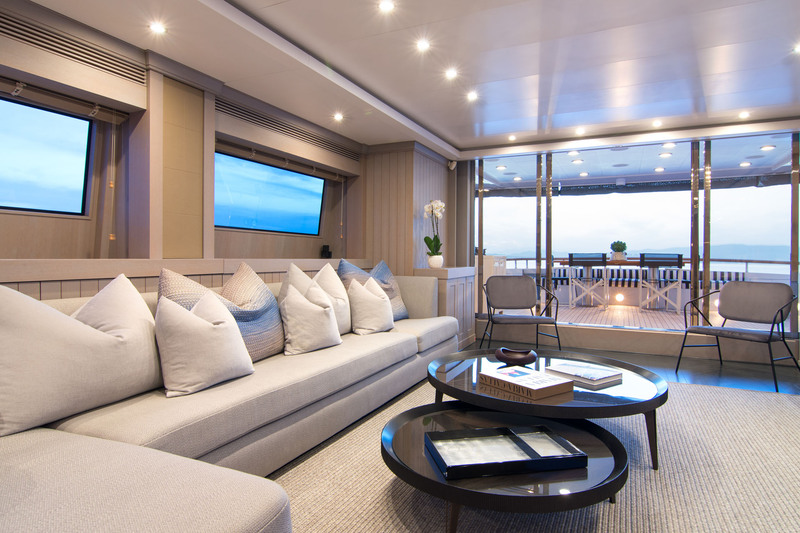 After a meal, the group can gather on the L-shaped salon sofas for drinks and conversation while taking in the views through the main deck aft sliding doors. 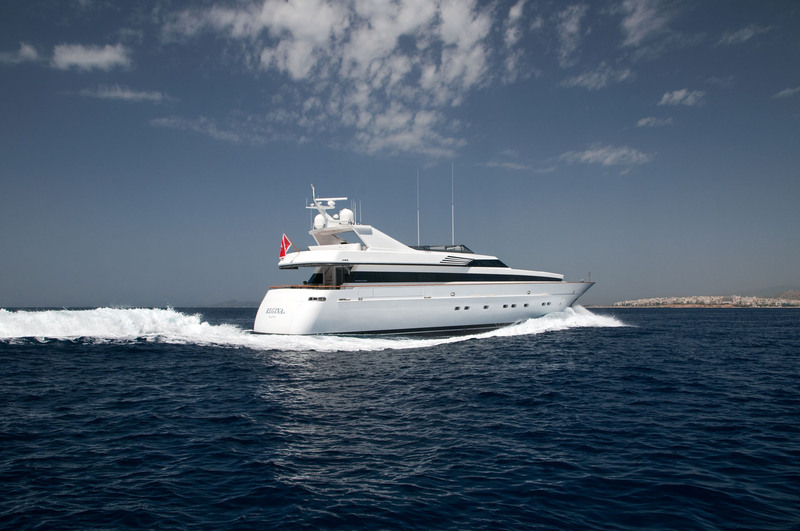 Two 16V 2000 M93 MTU engines, each producing 2,400 HP provide an excellent cruising speed of 20 knots, a top speed of 25 knots and a range of 400 nautical miles. 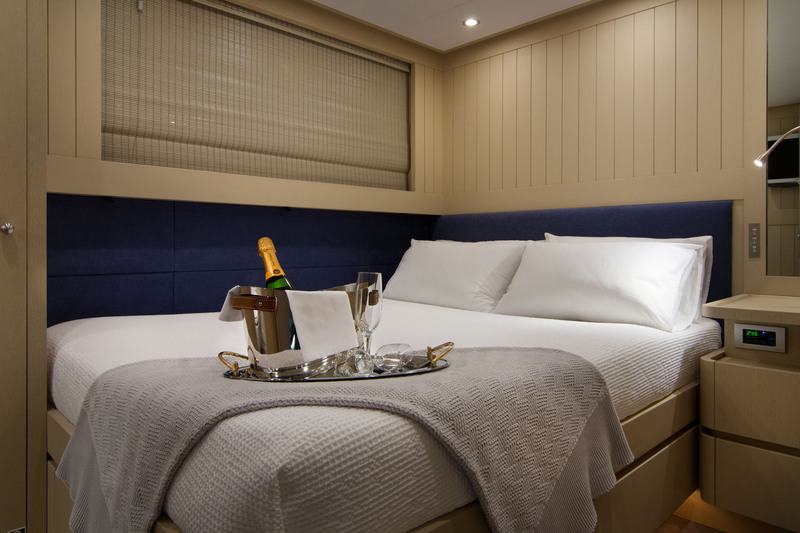 Accommodation comprises on full-beam master suite with king-sized bed, two double cabins, one twin with one Pullman berth and one twin cabin, all on located on the lower deck. 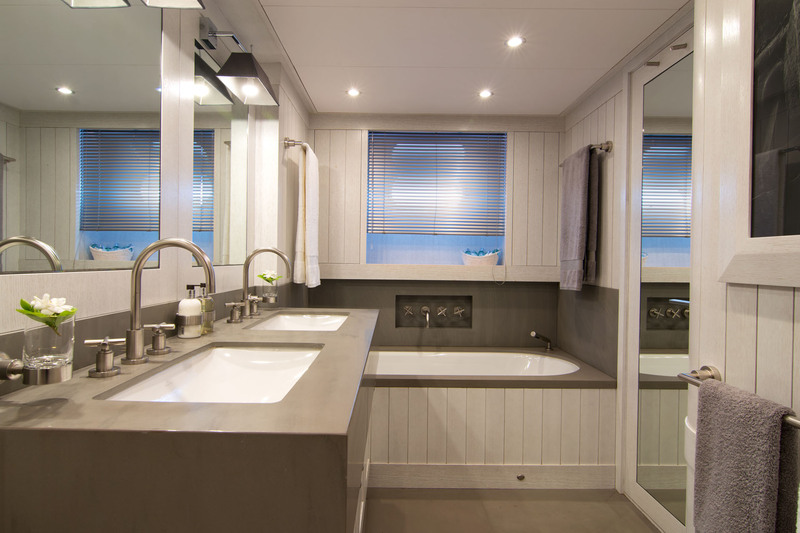 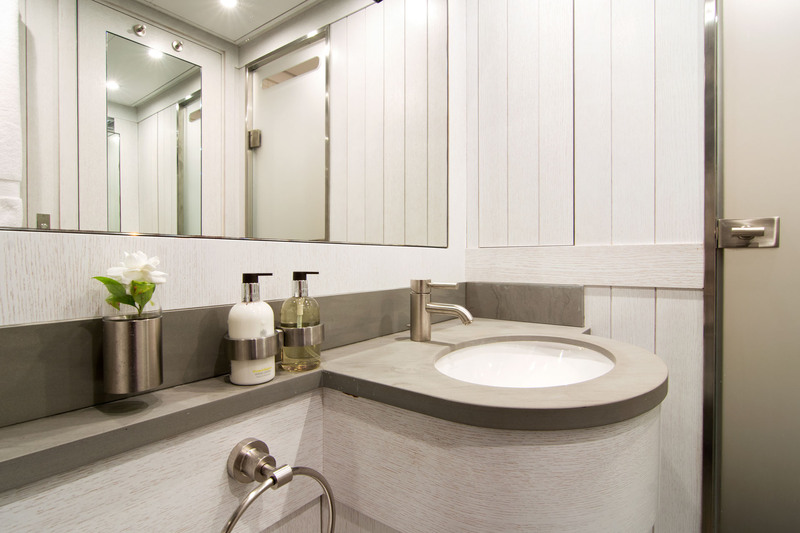 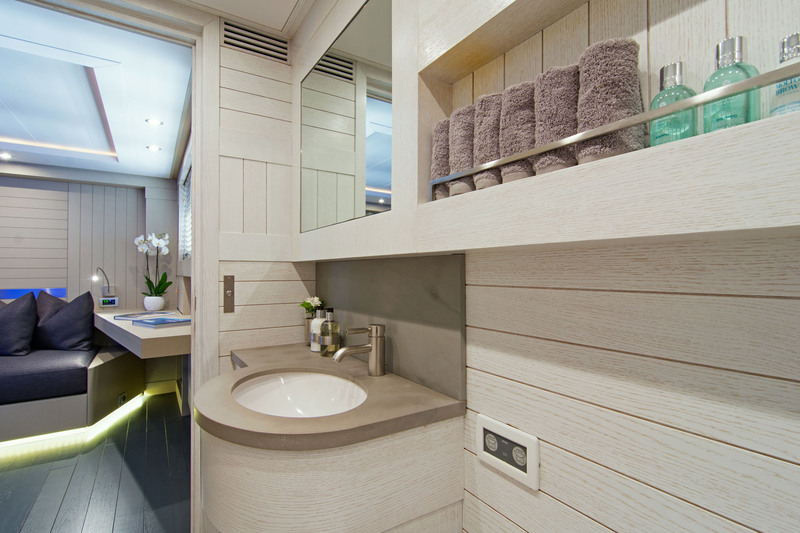 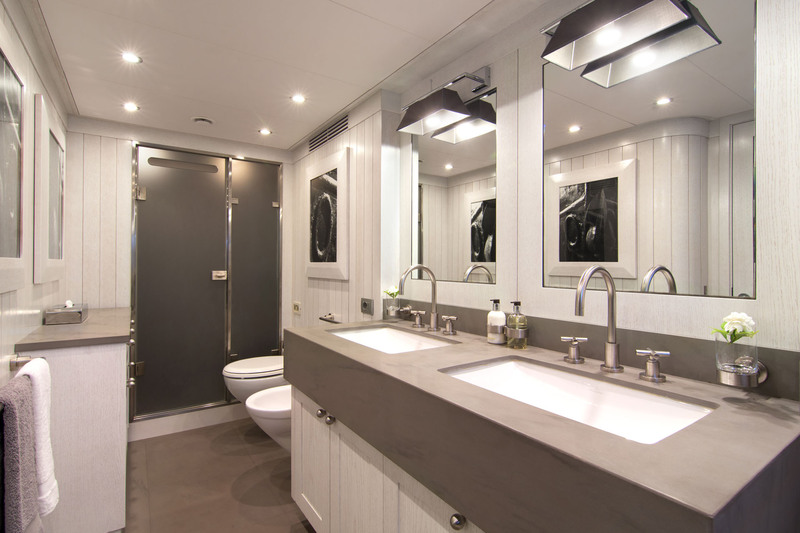 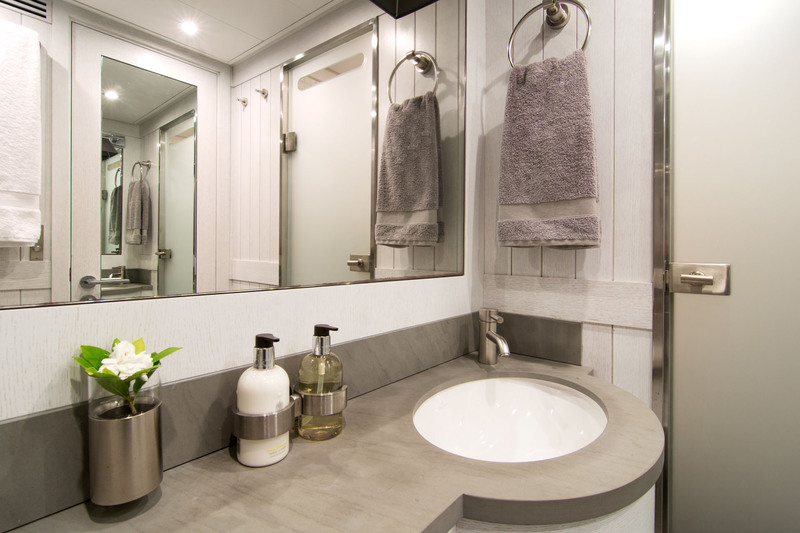 There is also an office on the main deck and all cabins have private ensuite bathroom facilities.